We offer bean bag designs in leatherette, canvas, and denim, and each of these gives an entirely different look and feel to your space. 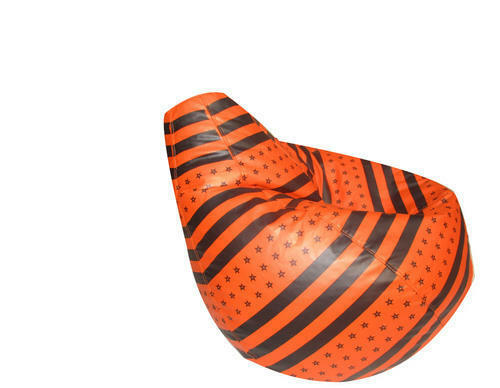 Apart from the typical round bean bags, we also have bean bag chairs that retain their shape, have a wide seat with side pockets for your mobile or the remote, and offer good back support. We also have sack-like bean bags that can be maneuvered into any shape that’s comfy for you. Browse a large collection of designs and patterns to buy a bean bag online at Urban Ladder. The perfect mix of colours, textures, and designs at Urban ladder is sure to tempt you to buy a bean bag for every room! Incepted in the year 2009, at New Delhi (Delhi, India), we “Octane India” are engaged in manufacturing and supplying a qualitative assortment of Puffy Bean Bag, Bean Bags, Plain Bean Bags, Dual Colour Bean Bags, Dotted Bean Bags, etc. Our company is Sole Proprietorship (Individual) based company. Under the supervision of our Proprietor, “Dipak Kumar”, we have achieved predetermined goals of the organization.